This bread machine white bread recipe produces a light, fluffy & buttery white bread that is excellent to use for a family’s sandwich lunches. It is also great for toast. If your kids are not too adventurous (or they just love white bread… the unhealthy little devils!!) then this white bread is perfect for you. It is a buttery white bread recipe. 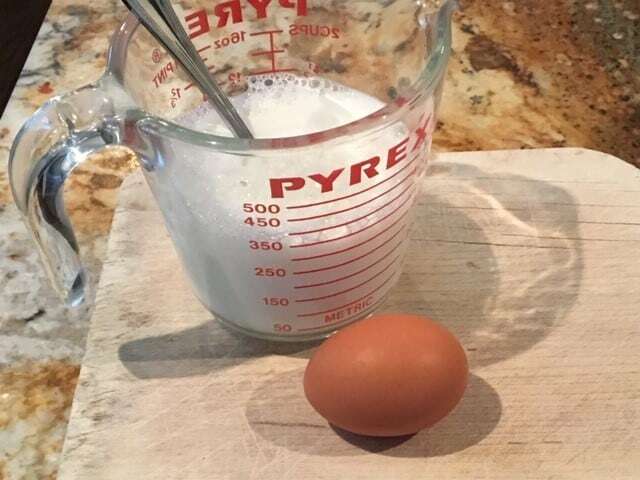 Nevertheless, this recipe also adds milk and an egg to the bread in order to make this white bread even lighter & fluffier (versus most “basic” white bread recipes that use only water and/or do not include an egg). However, if this bread is too bland for you, you can try out our Super Butter Bread Recipe. Or you can add a little of your family’s favorite seasoning (i.e. Italian Herbs) to this white bread recipe in order to “spice” it up! Since this white bread recipe is done in a bread machine, it is simple & easy to make. It should take you only 5 minutes or so to prepare and then you let the bread machine do the rest of the work. 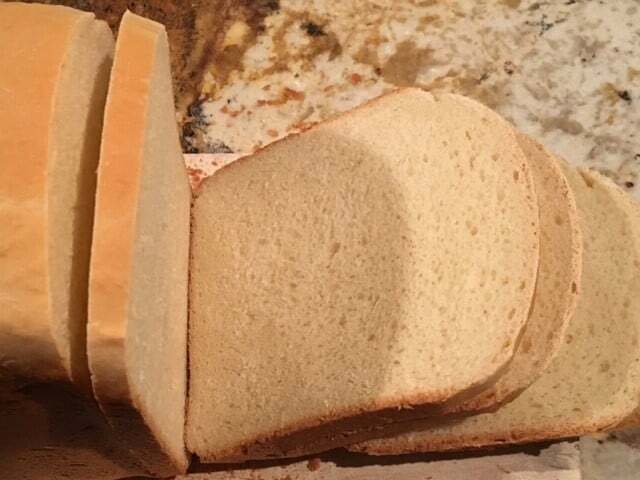 For more great recipes, please visit Bread Dad’s main Bread Machine Recipes section. Bread Dad also has a printable and “pin-able” recipe at the bottom of the page. If you like this recipe, we hope you will leave a comment below and give us a 5 star rating. Thanks! This page may contain Amazon affiliate links. At no extra cost to you, we make a small commission if you buy products via any affiliate links below. Mix the water and instant nonfat milk powder first. Pour this instant milk into the bread pan and then add the other ingredients. Place the bread machine yeast in last and the yeast should not touch the liquid (until the bread machine is turned on and the ingredients start to be mixed together by the bread machine). Start the bread machine going after checking the settings. 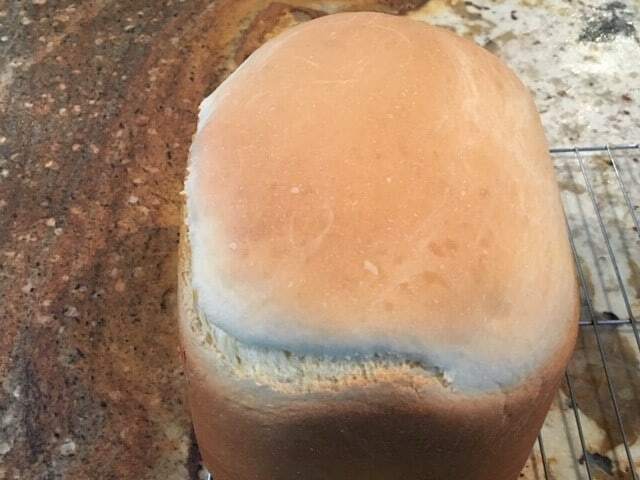 When the bread machine has finished baking the bread, you should remove the bread and place it on a cooling rack. Use oven mitts when removing the bread machine container (bread loaf pan) as it will be very hot! After removing the bread, don’t forget to remove the mixing paddle if it is stuck in the bread. Use oven mitts as the mixing paddle will be very hot coming out of the bread machine. Or wait until the bread is completely cooled and then remove the mixing paddle. In our bread machine, the baking takes about 3 hours for a 2 pound bread at the light color & basic bread settings. However, some machines can differ and you don’t want to be away from home when the bread machine “finished” alarm goes off! Your bread machine should show you the length of the baking time after you have entered the settings into the machine. This will allow you to know when to be in the kitchen in order to remove the bread. Before using your bread machine, you should read the bread machine manufacturer’s instructions in order to use the bread machine effectively and safely. If this white bread is too bland for you, you can add a teaspoon of your family’s favorite seasoning (i.e. Italian Herbs or Rosemary) in order to add some extra flavor. Is white bread better than whole wheat? While white bread is fluffy & delicious, much of its bran fiber was removed during the milling process. If you want more fiber in your family’s diet, you should consider homemade whole wheat bread or oatmeal bread. For more information on white bread and the milling process, you should read this Wikipedia article. 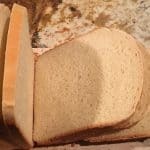 This bread machine white bread recipe produces a light, fluffy & buttery white bread that is excellent to use for a family's sandwich lunches. It is also great for toast. This recipe is covered by Bread Dad's legal disclaimer. We hope you like this fluffy & delicious white bread recipe. Thanks for the improved white bread recipe! Eggs always help to make my bread fluffier. It might not be the healthiest bread but my kids love sandwiches made from homemade white bread. Great white bread recipe. My family really liked it. Turn your homemade bread into wonderful sandwiches… by adding your own cold cuts! Rather than using some preservative-laden packaged cold cuts, you can create your own cold cuts by cooking up lean organic meat. We like ButcherBox because it supplies customers with “grass-fed beef, free range organic chicken and heritage breed pork”. This website is for informational purposes only. Be safe when preparing, handling and storing food. This website does not guarantee that the ingredients listed in any of the recipes are allergy free. For further terms and conditions, please read our legal disclaimer. Follow us on Pinterest or Twitter! At no extra cost to you, Bread Dad receives a small commission on purchases made through the links above. As an Amazon Associate, Bread Dad earns from qualifying purchases such as bread recipe books. Green Valley Kitchen – Great vegetarian recipes!